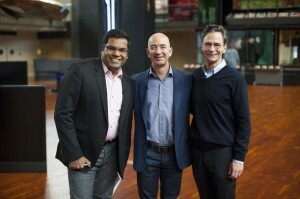 Last year I promised myself that I would find a way to meet and interview Jeff Bezos. Although I have a number of students, alumni and friends who work at the company he founded, the Amazon CEO is famously sparing in his on-camera appearances. Anecdotally, I’ve only seen him appear with celebrity media personalities such as Charlie Rose or Jon Stewart. Conversely, I’m an independent media maker and educator located in the top left-hand corner of the contiguous United States. Sure, I was a network news journalist over a decade ago in New York and the Middle East; it wasn’t hard back then to grab an interview with a Netanyahu, Kissinger or Giuliani (as I did). But that had nothing to do with me and everything to do with the shimmer of a mass media brand and often the halo of the celebrity anchor (in my case, NBC’s Tom Brokaw or Brian Williams). That promo also airs within the third season of our highly successful interview program, Four Peaks. In line with the aforementioned premise, I see it less as a TV show, and more as an engagement vehicle propelled by a content engine. Through the currency of a still-powerful medium (the average American still spends more than four hours a day watching TV although online media consumption has just surpassed that), we get to connect to leaders whose influence can provide great benefit to our graduate program, even as we tackle subjects that often substantively relate to our own subject matter. In many ways, the on-camera interview is just the start of the relationship. As I consider the 48 accomplished individuals that I’ve interviewed over the last three years (listed here), I recognize how many I’ve followed up with to guest lecture in our classes, to consider our students’ job applications to their organizations, to keynote our events, and to generally advise us on our curricular direction. Despite all of this strategic thinking around engagement, it was my colleague (and show Executive Producer) Scott Macklin who convinced me that we should accept a request to produce the video content for the new Bezos Center for Innovation at Seattle’s Museum of History & Innovation (MOHAI). He immediately saw the opportunity to “extend our reach” by expanding our network further through the collaboration with the exhibit creators. In other words, Scott saw the natural ability for us to amplify our own network through MOHAI’s reach and the Bezos brand, as well as leverage our own substantial existing connections on behalf of this partnership. We would do so by providing the content for the new museum exhibit (opening October 12th) as well as by “double interviewing” a selection of the innovators for our Four Peaks show at the same time. It was Scott’s idea to include Seattle Mariners star Edgar Martinez in our series, to the delight of our UWTV crew. There would be reciprocal benefit: as our show airs this fall, sponsored by MOHAI, the museum gets substantive exposure, promoting its new exhibit leading up to its opening; with this incredible body of work, we elevate the profile of our graduate program. No wonder Adobe declared 2013 to be the year of content marketing (or branded content). 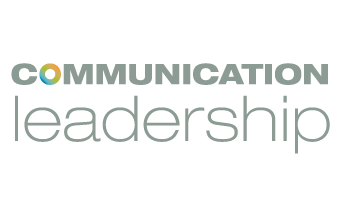 This partnership embodies this communications phenomenon. It’s also a transmedia strategy: the content in our shows is entirely different from the content you’ll find on the museum’s touch screen interfaces. Oh, and not only did we get the elusive Jeff Bezos on camera, but we managed to film the entire Four Peaks Season 3 ahead of time. This enables us to take advantage of another significant media trend: binge viewing. Netflix popularized it through its original series House of Cards. Rather than forcing viewers to wait for a show to air before putting it online, why not put the entire season online, allowing viewers to determine how they consume that content? It’s not easy ground for a traditional media outlet to surrender, but as House of Cards star Kevin Spacey recently declared, it’s a reality all content creators must now accept. Which is why, even as I write this at the outset of our broadcast season, we have made all episodes of “Four Peaks: The Innovators” available now. Our show has never really been appointment viewing, so when we do leverage our social channels to promote it, our community can heed our call to action and just click a link to watch. Frankly, we prefer it that way. We’re justifiably proud of these episodes; we’re pleased to offer it in its entirety, right now. We’re building our own brand on our own terms, engaging with the people that matter to us. We’ll never have the resources and reach of a global media conglomerate as we endeavor to raise awareness around what we do, but in this time of disruptive change, we don’t need to. For more on how I have leveraged the MOHAI opportunity since the opening, see this Storyteller Uprising piece along with my Prezi for our work that is featured at the Bezos Center for Innovation.